It's not just computers and other devices that are becoming more energy efficient. Now it's the turn of cabling - Ethernet is going green. By slightly lowering the network transfer speeds where possible, power consumption will be drastically reduced. How this will take place in practice is not yet clear, however. The IEEE , the professional association that oversees technology standards, has created a group called the Energy Efficient Ethernet Study Group . At its first meeting this week, the group will discuss how the power consumption of Ethernet can be lowered. Less consumption would produce lower electricity costs for users, as well as causing less damage to the environment. 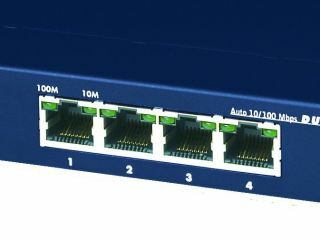 Ethernet, used in virtually every network, is notoriously power inefficient. The IEEE said there was huge demand for discussing green issues, adding that a study group has never been created as quickly as this one. Spokespeople for Cisco and D-Link , both members of the IEEE, both added that everyone has to contribute towards greener computing. The study group will focus on are several key issues. Firstly, connections between devices and computers are often idle. Secondly, faster transfer speeds incur more power usage on both sides. By lowering speed, power usage is also reduced. When required, the speed could be increased temporarily. The IEEE said the aim is to lower speeds by a millisecond, but it is not yet sure how this will be achieved. "Using the technology that is around today, a switch from 1Gbit/s to 100Mbit/s takes a few seconds," said Henrik Bergqvist, head of technology at Cisco Sweden, . "But if applications aren't to be affected, this time period has to be significantly reduced. The aim is to bring it down to a millisecond," he said, adding that it is likely that new, more energy efficient products will be introduced in a few years. If the IEEE is successful, millions of pounds could be saved, it said. In a standard computer, the power usage could be reduced by a factor of seven, and the connection could save almost as much. "Since Ethernet is the technology that the entire world has chosen to support, we now have the opportunity to drastically reduce power consumption," said Mike Bennett, who heads up the Energy Efficient Ethernet Study Group. "It is something we will all gain from," he added.